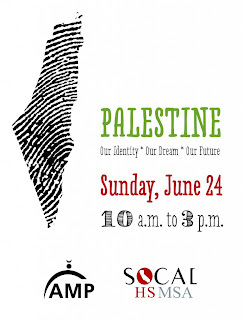 American Muslims for Palestine (AMP), a Chicago-based anti-Israel organization, is planning to host a joint conference on “Palestine activism” with the High School Muslim Student Association of Southern California (HSMSA), an inter-high school network of Muslim student organizations. The conference is scheduled to take place on June 24 at the University of California, Irvine, a center for virulently anti-Israel campus activity in recent years. It is part of AMP’s 7th annual campaign to commemorate the “Nakba,” an Arabic term that means “catastrophe” and is used by Palestinians and their supporters to describe Israel’s Declaration of Independence. AMP organizers say the conference is designed to help “train high school, college, and non-student activists on issues pertinent to Palestine activism.” The list of speakers invited to “educate” students on the Israeli-Palestinian conflict include several anti-Israel activists known for their use of rhetoric to delegitimize Israel. AMP targeted high school students earlier this year when it held its first high school training session in Villa Park, Illinois. The workshop was similarly organized to the upcoming conference at UC Irvine and included workshops on subjects such as the Islamic significance of Palestine, activism, and how to utilize the media. 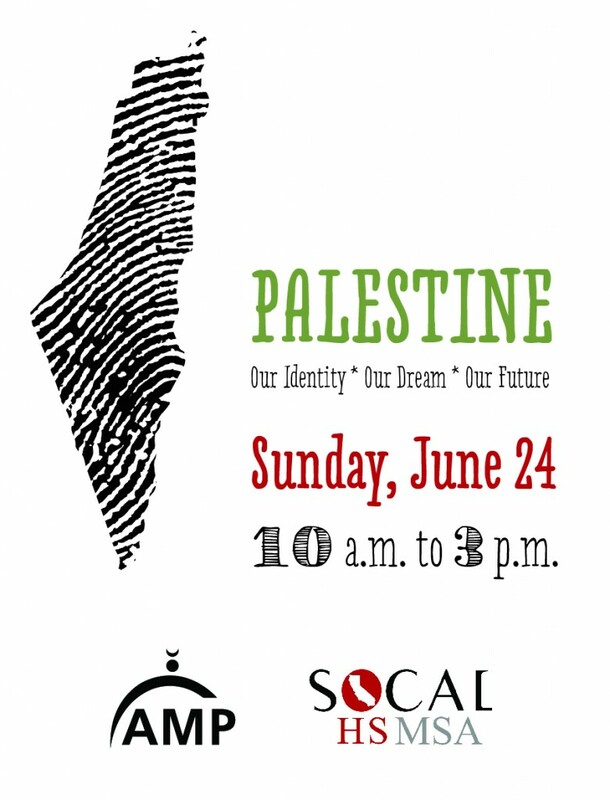 This year’s AMP Nakba campaign consists primarily of educational and training sessions designed to “raise awareness about the occupation” and to “help bring justice and liberty to the Holy Land.” These events will be held throughout the month of June across the Southern California region, which include the cities of Hawthorne, Corona-Narco, Anaheim, Temecula, and Lomita. AMP has increasingly made an effort to engage in facilitating student activism on college campuses and high schools nationwide. The importance of encouraging AMP’s presence among students was the central theme of the organization’s 2011 national conference, where a number of sessions were dedicated to how students can discuss the issue of Palestine in schools and on campuses. AMP’s concerted effort to engage with students has led to increased collaboration with on campus anti-Israel groups, such as Students for Justice in Palestine (SJP). Ali Abunimah is financially backed by the British government; his day job is something called the Social Research Unit. Why is the UK supporting this terrorist sympathiser? But, I don't understand... Ali Abunimah supports the Palestinians in their struggle against Israeli terrorism. So, why do you call him a terrorist sympathizer?